And while one may claim that all Italy did is rotate from one Italian-made car to another, what really happened is public funding was used to purchase a $200,000 car that ultimately padded the revenues of a private, publicly-traded company, Fiat (which last we checked has not been nationalized. Yet) and its shareholders. Because all that is happening is public money going to private profits, i.e. the 1%: precisely what everyone lately has been agitating against. 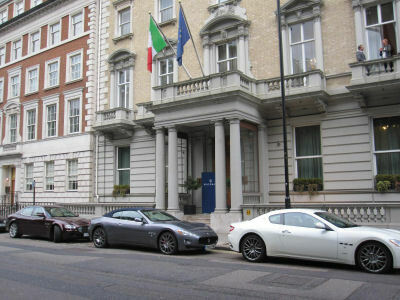 On the 6th of June 2011, Maserati proudly sponsored an exhibition of works by Italian Contemporary artists in the beautiful scenario of the Italian Embassy in Mayfair. The Maserati Quattroporte, official car of the Italian Ambassador in London, took pride of place in front of the entrance along with a Maserati GranTurismo S Automatic and a Maserati GranCabrio: the perfect addition to the showcased art works. The over 150 guests welcomed by the Italian Ambassador Alain Giorgio Maria Economides, enjoyed a pleasant evening surrounded by spectacular Italian art. 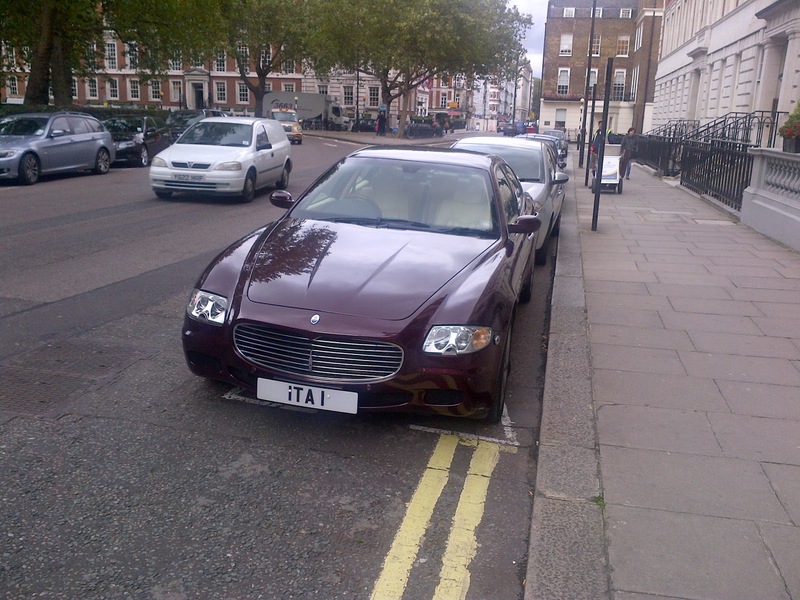 Maseratis in front of the Italian Embassy in London. Text and photo courtesy of Maserati.